Sheraton Caregivers provides private duty home care services for seniors and others who need assistance in the home and with all Activities of Daily Living (ADLs). Activities of daily living such as bathing, dressing, grooming, toileting, and light housekeeping are some precious easy everyday habits that we have become accustomed to but unfortunately has become a struggle for our elderly family member or disabled loved one. We make sure that we assist your loved one with the personal care he or she needs by providing a caregiver whose priority is making every day living for him or her easier. Our mission is to enhance the life of your beloved and to bring assurance that he or she is given the best personal care. Whether your loved one needs minimal care or our most popular 24-hour home care assistance, we strive to provide the specific care he or she needs in order to create peace of mind. 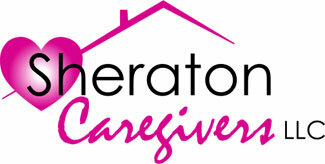 Additionally, our personal care service includes developing a personal relationship with our clients. We want to enrich the lives of your loved one by matching a caregiver who he or she is compatible with and will establish a close relationship towards. We understand that the activities of daily living may be personal and intimate moments, therefore we believe in the significance of caregiver compatibility so that your loved one feels secure and comfortable. Our services are designed to assist our clients with personal care and activities of daily living, and help improve or maintain health, well-being, and independent living at home.